Jazz festivals introduce change, the new, the hip into crowded schedules with little time to stop for breath and reflect. 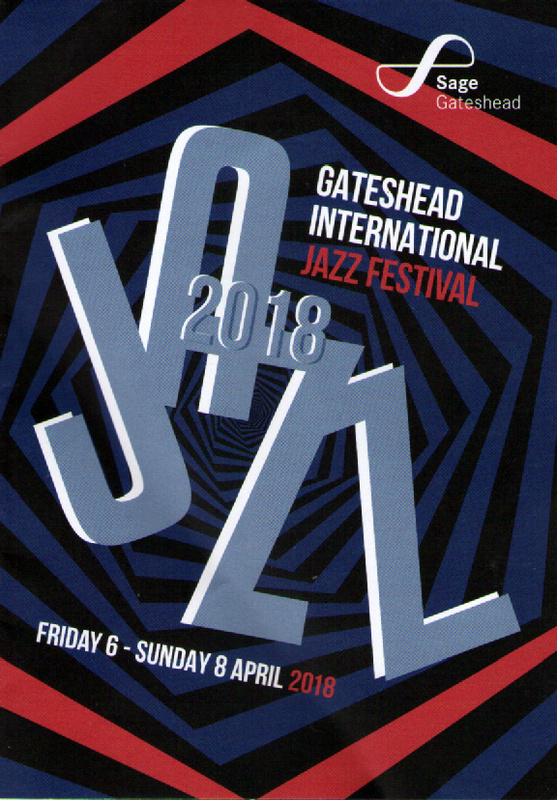 Sage Gateshead’s amazing three-day Gateshead International Jazz Festival is at the forefront in developing connections – particularly across Europe – and introducing the ‘new’. The opening night of this year’s GIJF exemplified this, yet, as many festival-goers made their way into Sage One, the largest performance space in the Norman Foster-designed Tyneside landmark, preparing to immerse themselves in a triple bill featuring the headlining Sun Ra Arkestra, and just across the way in the Northern Rock Foundation Hall significant numbers were keenly anticipating an evening of contemporary jazz piano, it was in Sage Two that one of the enduring figures in jazz attracted a standing-room-only crowd. A ten-piece band playing ‘classic era’ jazz with lots of Duke Ellington, some might say such bands are ‘ten-a-penny’ and perhaps they are, but this band in the three-tiered Sage Two concert hall is, note present tense, one of the great bands. Chris Barber maintains a punishing schedule, touring across Europe returning to play a string of British dates then setting off again…Germany, Holland, the tour bus clocking up tens of thousands of miles, year in year out, filling concert halls wherever he goes. Bourbon Street Parade – what else? – set the ball rolling and from then on it was typical Barber. The legendary bumbling announcements have taken on epic proportions and reassuringly remain as incomprehensible as ever. The jazz is simply marvellous, the numbers coming thick and fast; Rent Party Blues, Jubilee Stomp, Goin’ Home, Barber’s enthusiastic commentary referencing Ellington, Clarence Williams, Ken Colyer (hurrah! ), Sonny Terry and Brownie McGee. The band – it’s important to get the words in the right order – is the Big Chris Barber Band and the nine, plus Barber, played straight through without an interval although Barber needed reminding of this at about the halfway point! From time to time two or three band members wandered off stage allowing a smaller combo to have a blow, variously the trumpets (Pete Rudeforth, Mike Henry), the hirsute Bob Hunt (trombone, arrangements and Barber’s right-hand man), the youthful Nick White, reeds, featured on alto playing a really modern piece titled All Blues (! ), and the new face, Scot Ian Killoran, slotting into the reeds’ section, playing as if he’d been in the line-up for twenty years. Give him twenty years and he will have been in the band for that long (it’s the kind of thing Barber might say), and what’s the betting that C. Barber will still be at the helm?! Wild Cat Blues, Black and Tan Fantasy, C Jam Blues, the Big Chris Barber Band was having fun – Bert Brandsma wielded a mean liquorice stick, the rhythm section purring, Barber was in there, all the more these days as a member of the band rather than leader of the band. It was Bob Hunt who kept the great man on track with a quiet word, a smile. Barber would have gone on ’til midnight but the younger members of the band didn’t have half his energy and it was getting past their bedtime. Sage Two’s audience rose to its feet to acclaim Chris Barber. He’ll be back, that’s for sure. Chris Barber (trombone, vocals); Bob Hunt (trombone, trumpet, arrangements); Mike Henry (trumpet, cornet); Pete Rudeforth (trumpet, vocals); Nick White (alto, soprano & baritone saxophones, clarinet); Ian Killoran (clarinet, tenor & bass saxophones); Bert Brandsma (clarinet, tenor & bass saxophones); Joe Farler (banjo, guitar); John Day (double bass); John Watson (drums). At the age of 87 Chris Barber's energy is still there - and his sense of humour hasn't deserted him either - referring to a classic rendition of Petite Fleur by Nick White as "a medley of our hit" All in all, a superb evening's entertainment. CD Review: Fergus McCreadie Trio - Turas. Preview: Jazz comes to Fenham! The Postmodernaires @ Hoochie Coochie - April 15. Jam Session @ the Dun Cow, Jesmond - April 11. GIJF Day 2: Skeltr - Sage Gateshead, April 7.